Quite interestingly, despite being marketed as a perfume for women, Tom Ford Black Orchid is very versatile that it is even excellent for men. In fact, there are a lot of people who consider it as a men’s perfume as well. The somehow spicy scent may in a unique way reminds you of Creed Aventus. Of course, Tom Ford Black Orchid and Creed Aventus are two different scents, but both are unique and distinctive with some spicy notes. 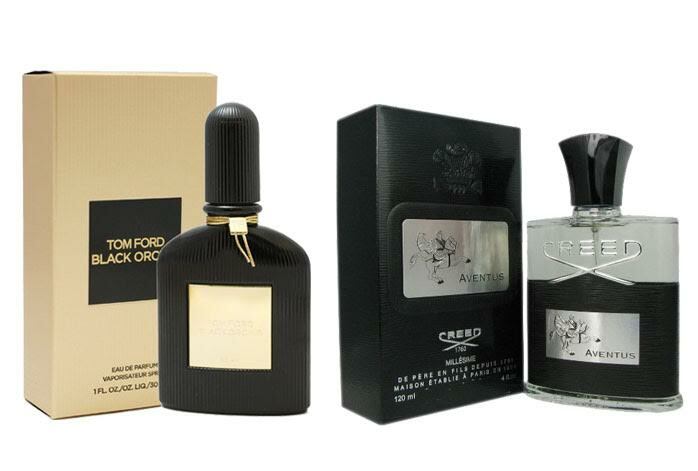 Hence, you may wonder whether you should go with Tom Ford Black Orchid or Creed Aventus. We are going to see the comparisons between the two products below! Tom Ford Black Orchid is a truly unique yet elegant scent. It is not an ordinary orchid; it is the blackest orchid that delivers a rich and dark trace. Tom Ford Black Orchid is best described as luxurious, modern and timeless, opulent and classically dark. It is also loved by many because of its strong silage and very long-lasting longevity. Tom Ford Black Orchid features a complex combination that consists of the top notes of black truffle, black currant, jasmine, and citrus; the heart notes of black orchid and spices; and the warm and woodsy base notes of sandalwood, patchouli, dark chocolate, vanilla, amber, and vetiver. Take a look : Tom Ford Black Orchid vs Velvet Orchid. On the other hand, Creed Aventus is a truly masculine smell. It is inspired by and aims to project the strength, vision, and success of Emperor Napoleon Bonaparte. It comes in an emblazoned bottle with a silver emblem of a horse with the rider. Creed Aventus is crafted from the finest ingredients, featuring the top notes of blackcurrant, bergamot, pineapple, and apple, the heart notes of rose, dry birch, jasmine, and patchouli, and the base of oak moss, musk, vanilla, and ambergris. It smells elegant, somewhat spicy, and more refreshing. Truth to be told, Tom Ford Black Orchid and Creed Aventus are great scents on their own right. Tom Ford Black Orchid makes an excellent choice if you prefer a scent that is calmer and more reserved, yet still with a strong silage that sophisticatedly firms your presence. On the other hand, Creed Aventus should be the way to go if you prefer a scent that is more apparent and confident.